We had such great success with our Five Grammar Myths Exploded post, and I’m such an attention whore, that I wanted to follow up with Five Punctuation Errors Exploded. Plus, I’m a bit of a Word Nerd and Punctuation Prude (but not a Grammar Granny), that I wanted to talk about a few of the punctuation errors I see people make over and over. Unfortunately, a lot of these errors are perpetuated by Microsoft Word’s Grammar Checker. Others are perpetuated by English and writing teachers who are still teaching the same errors they learned when they were writing their lessons on slate tablets. And still others are inexplicable. No one knows why they do it, but they do it. Here are the five most common ones I’ve seen. 1. 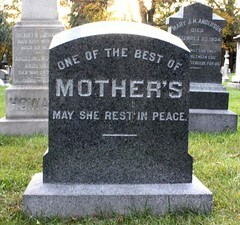 Don’t use apostrophes for anything but possessive pluralization: This one sets my teeth on edge, more than any other. An apostrophe is absolutely, positively, without exception used to show possessive or contractions. It is never, ever, ever used to show plurals. First, don’t write things like DVD’s, CDs, CEO’s, 1990’s, or any abbreviation or acronym. The proper pluralization is DVDs, CDs, CEOs, and 1990s. No question. The one exception is if you are pluralizing a single letter. The Oakland A’s, five Model T’s. So the rule for apostrophes is just to leave it out for plurals, unless you’re pluralizing a single letter. The Oxford comma — also called the Harvard comma or Serial comma — is the comma that appears before “and” in a list. Red, white, and blue. Moe, Larry, and Curly. That comma there before “and” is the Oxford comma. There are some writing styles that forbid it, like AP Style. Others allow it, like MLA and APA. Punctuation is designed to make language more readable and understandable. And sometimes removing a comma just because you’re “supposed to” can make the problem worse. Bottom line: Using the Oxford comma isn’t wrong. It’s strictly a style issue. 3. Hyphens are dying: Some people say the hyphen is old-fashioned. Others would say it’s old fashioned. Either way, the hyphen is falling out of favor with most grammarians and editors. In fact, the sixth edition of the Shorter Oxford English Dictionary, editors removed hyphens from 16,000 entries. An article in the BBC said words like fig-leaf, pot-belly, and pigeon-hole are now fig leaf, pot belly, and pigeonhole. Unfortunately, there’s no one rule that will explain all hyphens. If you’re not sure what to do, check Purdue’s OWL. 4. Proper use of the en (–) and em (—) dash: I love dashes. More powerful than commas, but not as sentence-stopping as a period. An em dash — which is the really long dash; so called because it’s the approximate width of the letter m — is used to separate parenthetical thoughts in your writing. The en dash — it’s the approximate width of the letter n — is used to show a range between numbers. I will be in Orlando, Florida from January 21 – 28. Admission is $3 for ages 4 – 12. Create the em dash with SHIFT+OPT+hyphen (Mac)/CTRL+ALT+hyphen (Windows). Create the en dash with OPT+hyphen (Mac)/ALT+hyphen (Windows). You can also turn on “Create em dash” in Word; anytime you type a double dash (–), Word will replace it with an em dash. The other question I see a lot is whether to put a space between the em dash and a word. There doesn’t seem to be any consensus on whether to do it or not. The Chicago Manual of Style says there shouldn’t be any spaces—like this—between dashes and text. But the AP Stylebook — which is correct in all things except my beloved Oxford comma — says it’s okay to have a space between dashes and text (like I just did there). The basic rule is the em dash is used in text, the en dash is used to show a range between numbers. 5. Punctuation always goes inside quotation marks: This is a simple one, but one that people don’t always understand. Basically, all punctuation goes inside quotation marks when you’re writing a quote. “None of your business!” he said. “Jeez, you’re always such a jerk,” she said. The punctuation in the last example is the one that usually trips people up. The entire sentence actually ends with “she said,” which is why the period goes at the very end. The actual quote — Jeez, you’re always such a jerk — ends with a comma, which goes inside the quote. Now, if she says something else afterward, that’s actually a separate sentence, and doesn’t need a “she said” to go with it. Even other quotation marks will go inside the final quotation mark. “And then I said, ‘that sounds like a load of BS! '” he shouted over the music. Notice the use of the single quotation mark around ‘that sounds like a load of BS!’ That’s how you show you’re quoting something within another quote. But then if you look very closely at the end of the example, you’ll see the single quote and the double quote mashed together. It’s a little sloppy and hard to see, but that’s just how it is. 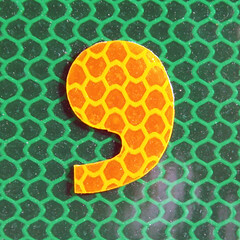 Bottom line: All punctuation goes inside a quotation mark, including other quotation marks. What about you? What are some of your punctuation pet peeves? What bugs you, or what do you struggle with? Leave a comment, and we’ll do a followup post. Being somewhat of a grammar specialist, I feel that while this post is for the most part correct, there are a few things that raise my eyebrows. Also, punctuation doesn’t always go inside quotation marks. On rare occasions, it must go on the outside; if the punctuation of the overall sentence does not match with the quoted text. Here’s an example. Did Bob say, “Let’s meet at the park”? The quoted text was a statement, but the overall sentence is a question. The question mark belongs on the outside of the quotation marks. @Jake, you bring up a really good point about about punctuation outside the quote marks. I’m approaching this from the AP style, which — knee-jerk reaction, of course — always puts the punctuation inside the quote mark, regardless of what it does to the meaning of the sentence. Of course, they do the same thing to the Oxford comma, so I can’t just blindly follow them on this rule either. I’ll have to explore this further. And you’re right about using apostrophes for contractions. I’ll fix that. My peeve is with the use of commas instead of brackets. I particularly appreciated the explanation on the Oxford comma and the hyphens, the latter being tricky as hell. I’m from Ukraine and I’m a teacher of English (a non-native speaker, though); so I’ve always been interested in all its phonetic, grammatical, and vocabulary peculiarities. Unfortunately, when I was a student, nobody taught us to punctuate sentences correctly. It may sound funny, but what most of our teachers used to do was just nodding their head or showing mimically where to insert a comma, a semi-colon or any other punctuation mark. When I started my teaching practice, I lacked the necessary literature which I could refer to in order to answer the questions of punctuation. In my country, 10 years ago we didn’t have PCs and had no access to the Internet either. In 2003 I went to the USA as an exchange college instructor where I came across English That Works by Ann Honan Rodrigues. That was the kind of book I’d always been in search of. Now we do have on-line resources as well as a lot of books that can guide us whenever we need it. Nevertheless, there are still some controversial issues which remain ambiguous for foreign language learners. First off, I’m afraid it’s not quite correct to say that we should use apostrophes only for possessives. What about contractions, like don’t, it’s etc? The other day I read the article entitled I’m beginning to hate apostrophes! by Gwyneth Fox in macmillandictionaryblog.com, where the author is indignant about the illiteracy of some shopkeepers who misuse apostrophes in the names of the signs. Actually, the author’s so wrathful that at the end of the article she suggests getting rid of apostrophes at all! I think the question of apostrophe or any other punctuation mark usage is merely a matter of literacy and education. If a person finds it difficult to learn the rules properly, then why not completely reject them? By doing this, we’ll sooner or later be deprived of all the distinguishing features of the English language or any other language at all, the former making each language unique and interesting from a linguistic angle. I do share your love and respect for the Oxford comma, and I’d rather my students put it down to avoid misunderstanding in similar to the above-mentioned examples in your article. I also agree that sometimes it is very difficult to use a hyphen correctly, so very often I just have to look it up in the dictionary. As a matter of fact, exactly as you’ve mentioned, not all dictionaries can provide you with universal answers. I’d also like to ask if it is optional to use a comma in the following sentence: When you see your ad in the paper, you will always be impressed with the graphics. I’ve come across a few cases in British editions when there’s no comma after adverbial clauses when they come at the beginning of a sentence. In American textbooks, they make it clear: there should be a comma in case you start with an introductory phrase or a clause, and there is no comma in the reverse case. So, which one is correct? When I started my teaching practice, I couldn’t find any literature which I could refer to in order to answer the questions of punctuation. 10 years ago we didn’t have PCs and had no access to the Internet either in my country. In 2003 I went to the USA as an exchange college instructor where I came across English That Works by Ann Honan Rodrigues. That was the kind of book I’d always been in search of. Now we do have on-line resources as well as a lot of books that can guide us whenever we’re in need. Nevertheless, there are still some controversial points which remain ambiguous for foreign language learners. First off, I’m afraid it’s not quite true that we should use apostrophes only for possessives. What about contractions, like don’t, it’s etc? The other day I read the article entitled I’m beginning to hate apostrophes! by Gwyneth Fox on macmillandictionaryblog.com, where the author is indignant about the illiteracy of some shopkeepers who misuse apostrophes in the names of the signs. Actually, the author’s so wrathful that at the end of the article she suggests getting rid of apostrophes at all! I think the question of apostrophe or any other punctuation mark usage is merely a matter of literacy and education. If a person finds it difficult to learn the rules properly, then why not completely reject them? By doing it, we’ll sooner or later be deprived of all the distinguishing features of the English language or any other language at all, the former making each language unique and interesting from a linguistic angle. I do share your love and respect for the Oxford comma, and I’d rather my students put it down to avoid misunderstanding in similar to the above-mentioned examples. I also agree that it is very difficult at times to use a hyphen properly, so very often I just have to look it up in the dictionary. As a matter of fact, exactly as you’ve mentioned, not all dictionaries can provide you with universal answers. I’d also like to ask if it is optional to use a comma in the following sentence: When you see your ad in the paper, you will always be impressed with the graphics. I’ve come across a few cases in British editions when there’s no comma after adverbial clauses when they come at the beginning of a sentence. In American textbooks, they make it clear: there should be a comma in case you start with an introductory phrase or a clause and there is no comma in the reverse case. This post was mentioned on Twitter by edeckers: New post: Five Punctuation Errors Exploded http://bit.ly/2OVfG2.